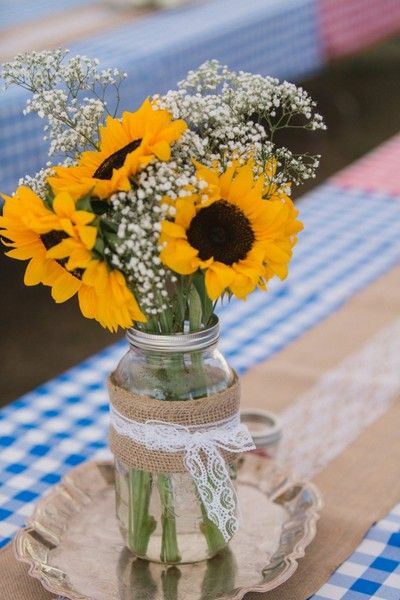 A mason jar, a couple sunflowers, some ribbon – and presto – some cute shabby chic decor. Or heck, you don’t even need the ribbon. 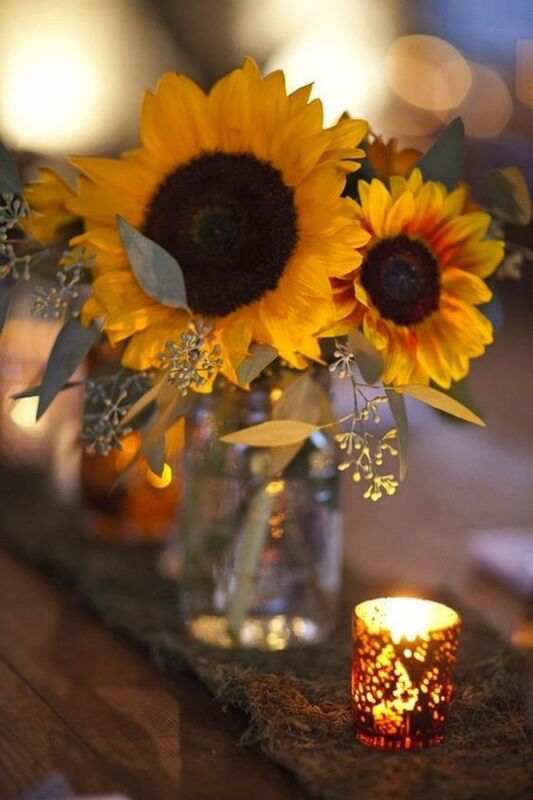 Isn’t this pretty with the candles? Would be gorgeous for an outdoor wedding or party. 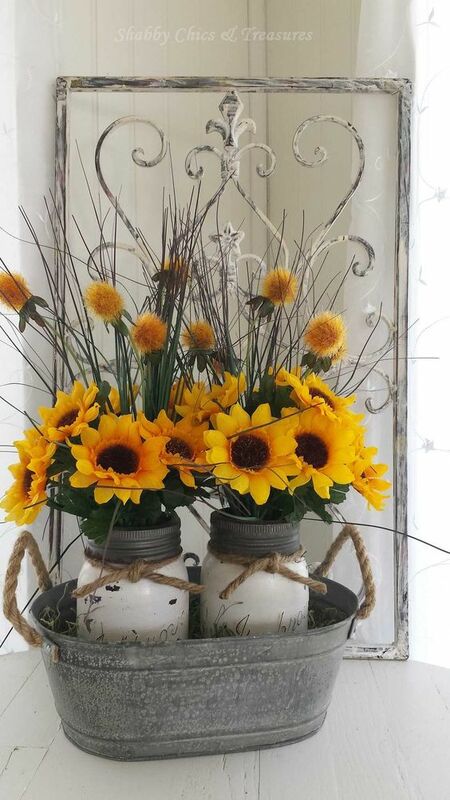 But this one is my favorite of all – painted mason jars with sunflowers in a galvanized tub.